Located between Downtown Los Angeles and the Inland Empire, and within ten minutes of Pomona Fairplex and Ontario National Airport, Claremont is a perfect getaway for couples and families looking for a hideaway from the hustle and bustle. With a thriving arts and music scene, pubs and eateries that critics have deemed “worth the drive,” local and nearby activities for the outdoor adventurer, and dozens of locally owned shops offering unique finds, Claremont offers travelers of all walks and interests plenty of fun things to do. Arts & Culture – Claremont is home to several museums and the world’s largest collection of native California flora. Visitors to Claremont will find galleries and gardens at the colleges and around town, and dozens of pieces of world-class public art. Dining – With half of Claremont’s more than 80 restaurants located within the walkable downtown area, visitors can choose to enjoy the city’s free parking and literally stroll to wherever their appetites lead them. Boutique Shopping – Claremont is the home to dozens of locally owned boutiques featuring hand-selected merchandise, chic fashions, kitschy collectibles and antiques, gifts from unique corners of the world, and Fair Trade-sourced materials. Outdoor Activities – The hills near Claremont offer scenic hiking, bicycling, horseback riding, and other adventures, while tennis and other sports are available both in town and nearby. Several championship golf courses are a short drive away. For those who love zip-lining, mountain biking, and playing in the snow, Claremont offers close lodgings to Mt. Baldy Ski Resort. Claremont for Families – Whether biking the trails at Claremont Hills Wilderness Park, discovering dinosaur fossils at the Alf Paleontology Museum, playing a musical instrument at the Folk Music Center, or connecting with the flora at Rancho Santa Ana Botanic Garden, family activities abound in Claremont. 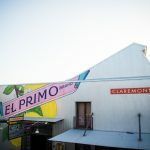 Claremont Nightlife – With a world-class dueling piano show at Piano Piano, standup comedy, a theater offering art and first-run films, a vibrant local music scene, a dinner theater, and other evening entertainment options, Claremont offers an abundance of nighttime fun.